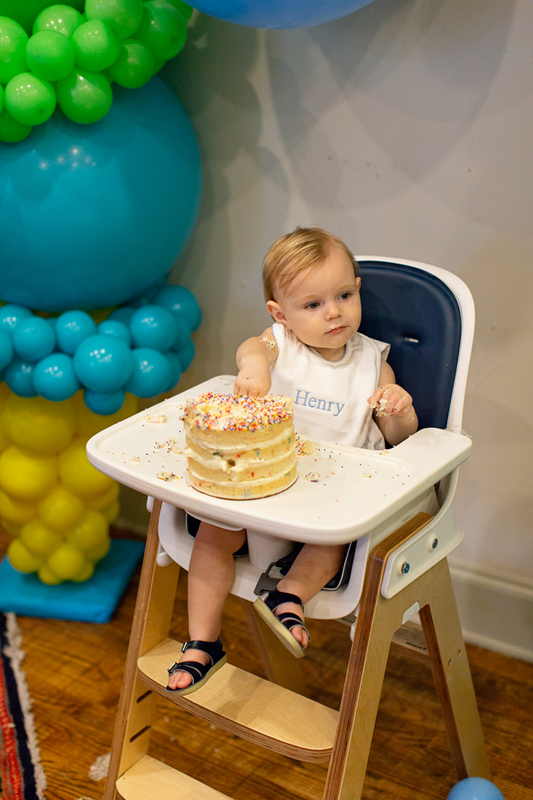 We can not believe our little Henry is one year old! 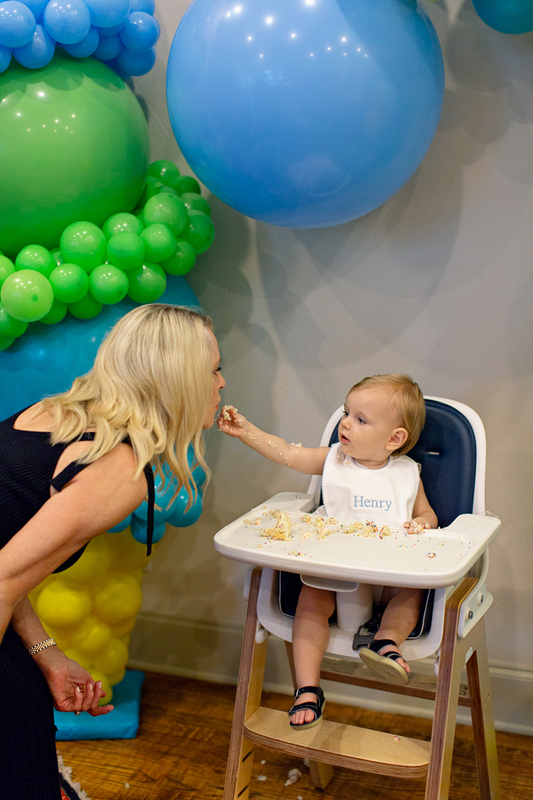 We had so much fun planning his first birthday and preparing for the big celebration. 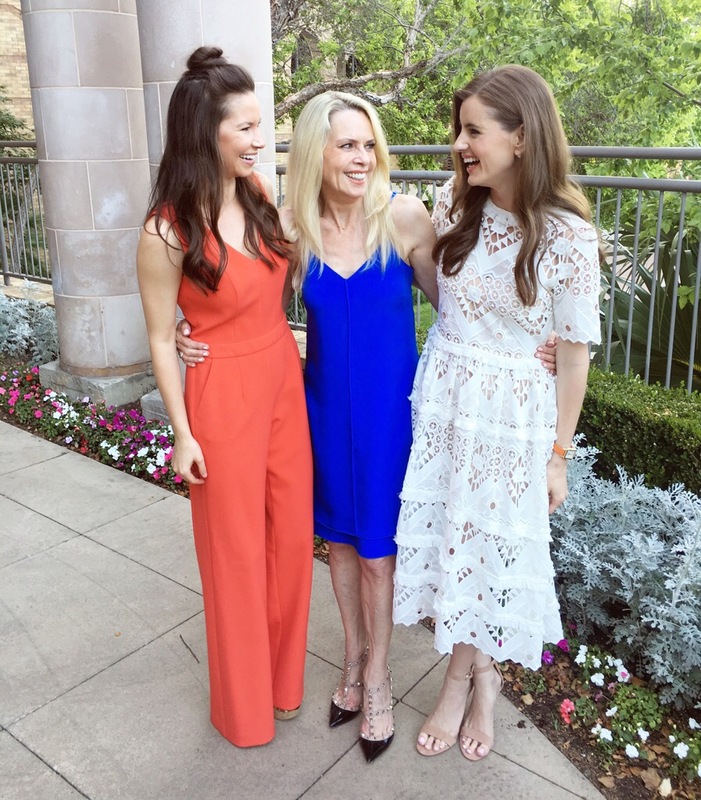 So much of our extended family was able to be with us, including two great-grandmothers! Our closest friends and their kids came and celebrated Henry with us, too. It was an absolute blast and Henry loved it all! 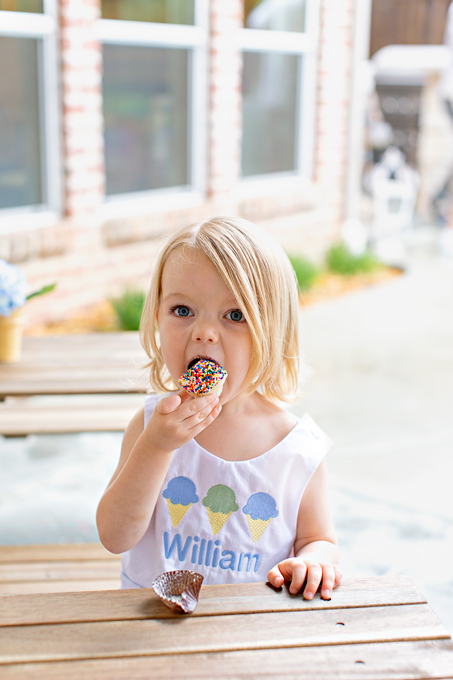 At the beginning of summer I found some darling ice cream decor and ice cream shaped sidewalk chalk at Target’s Dollar Spot and that was the beginning of our theme; an ice cream party! 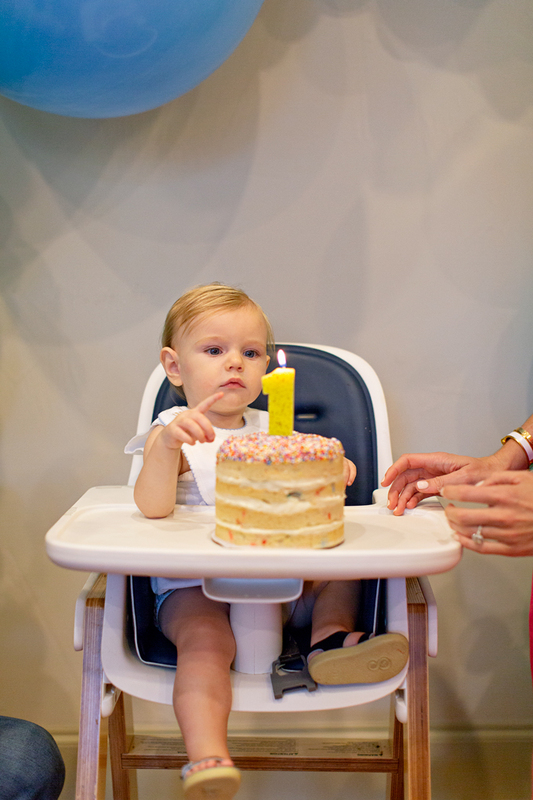 I’d say it was a huge success and the most important part was that the birthday boy had fun! He loved trying all the ice cream and running around with his little friends! 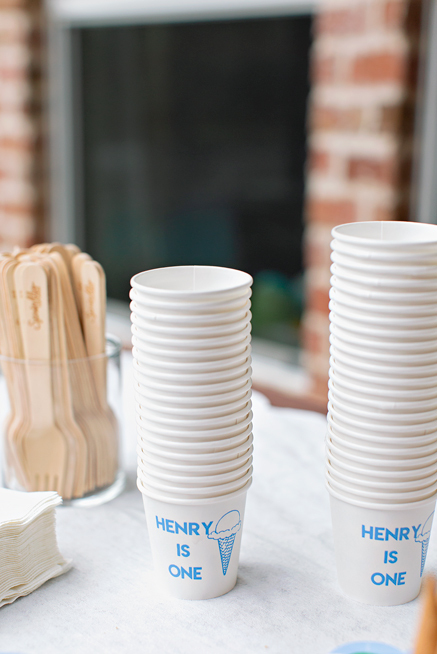 When I started to plan Henry’s Ice Cream party, I didn’t realize that everything I would find would be aimed towards girls. 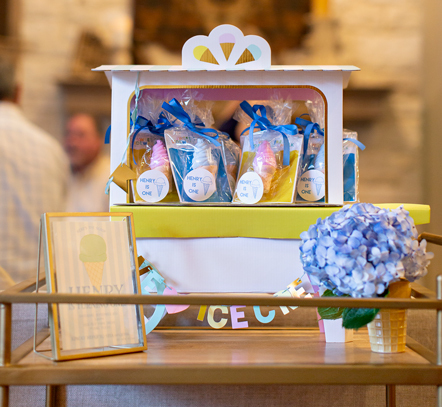 I contacted Lucy from Love Lucy Designs and she created the most perfect ice cream invitation for a little boy! 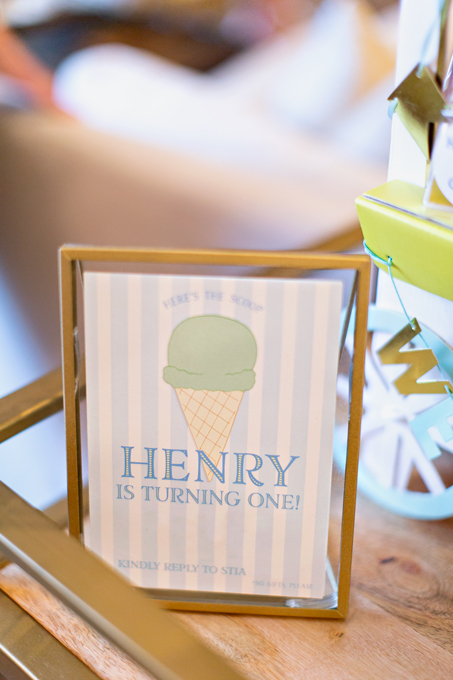 This was the original ice cream invitation and below is the one Lucy created for Henry – so sweet! 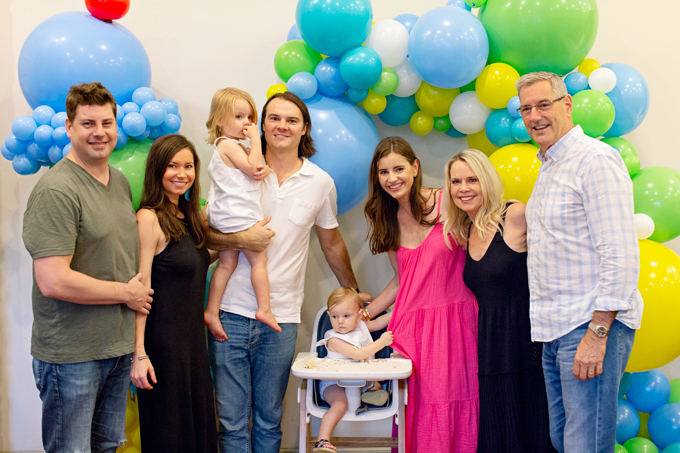 When we originally started to plan Henry’s party, we thought for sure we would be in our new house in the backyard. Well, you guys know that we are still not in our house, so we had to come up with a Plan B. 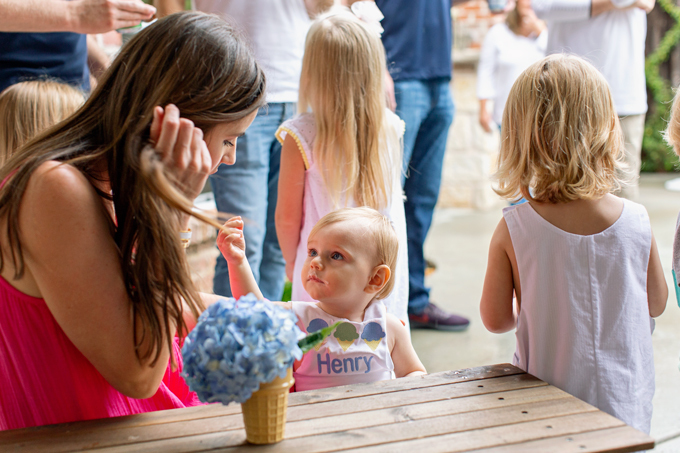 We decided that we would have Henry’s ice cream party at my parents’ house in their backyard – perfect for an ice cream party right?! It rained so hard all day the day of Henry’s party, so we moved to a Plan C! Ice cream and cupcake sundaes outside underneath the patio with Henry eating his birthday cake inside. It turned out to be perfect, even with all the changes of plans! 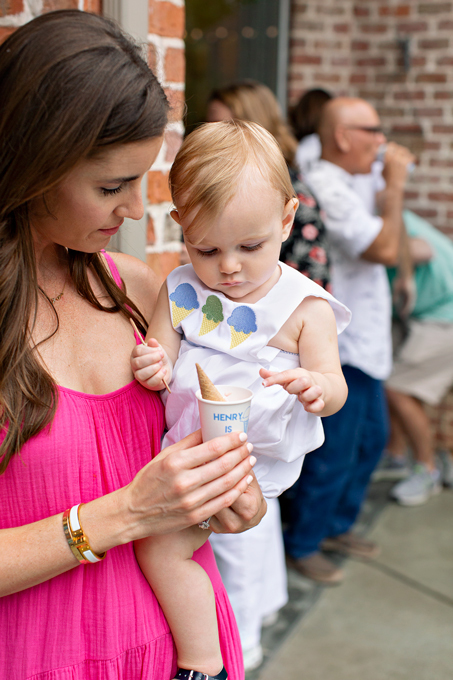 If you’re brave enough, an ice cream party would be equally as cute at your neighborhood park, etc – just make sure to come up with a Plan B in case of rain! We contacted Sprinkles Cupcakes to see if they did ice cream catering, and it turns out that they do, bringing the most adorable ice cream cart filled with so many flavors of ice cream. 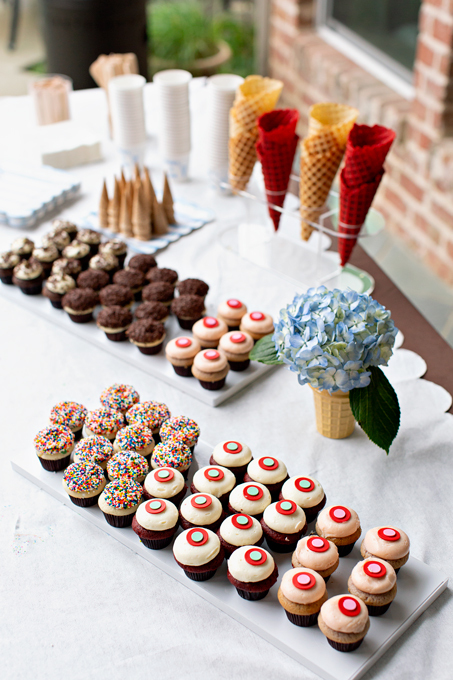 They also brought mini cupcakes in five different flavors, mini cones and also giant waffle cones – so that everyone would could make mini ice cream and cupcake sundaes! 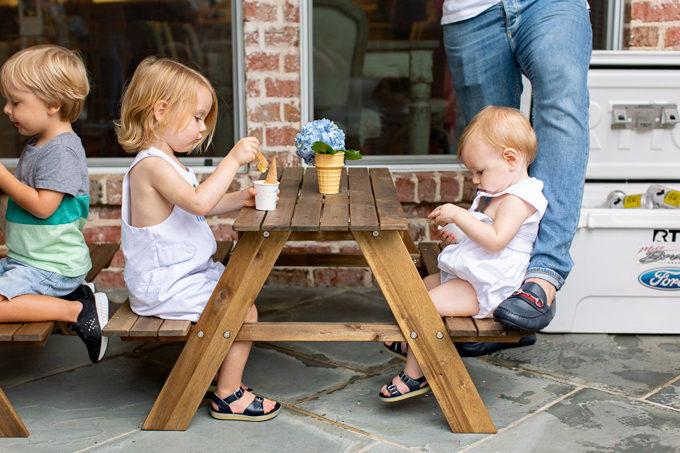 It was just so perfect for our ice cream party. 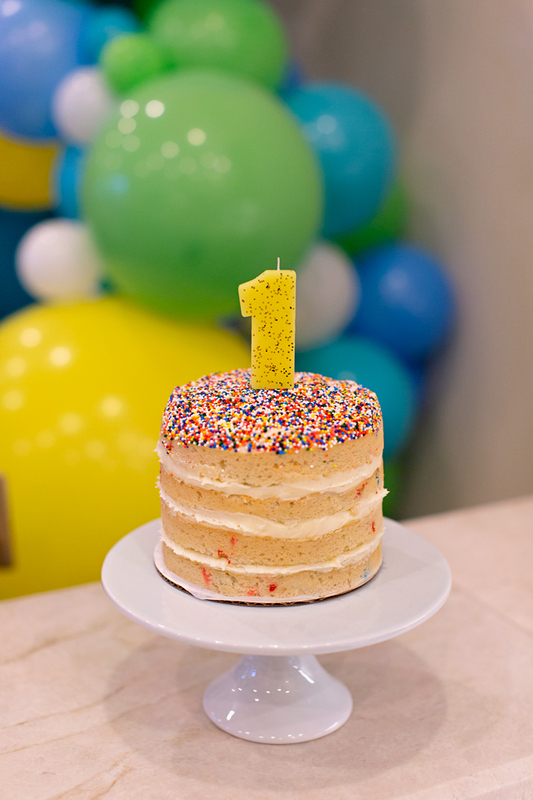 Sprinkles has also just started making layer cakes and they provided one for Henry’s smash cake. Y’all it was so cute and so yummy- the best smash cake ever! 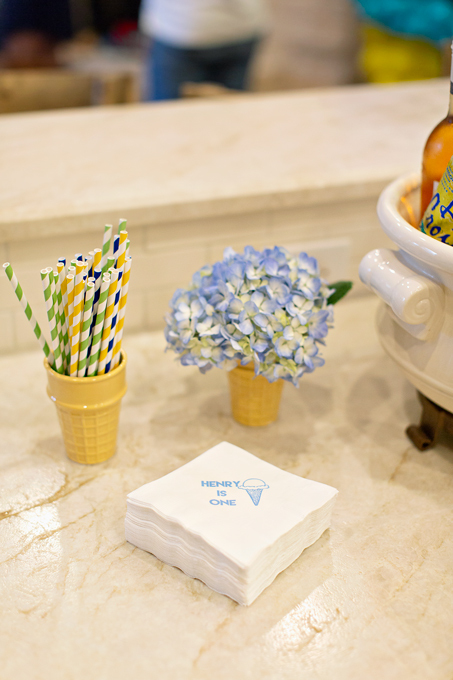 (Note: We had napkins and ice cream cups custom made, but Sprinkles provides branded cups, napkins, spoons, etc – all within the catering price). 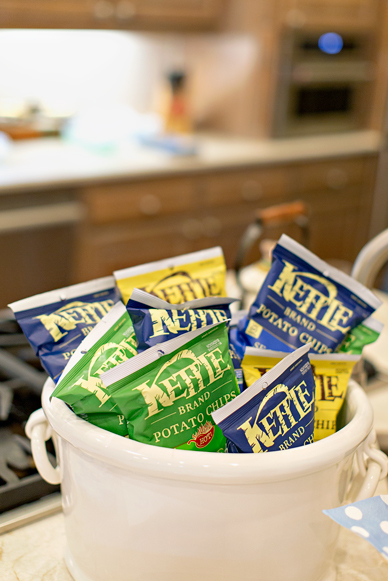 It couldn’t just be sweets for everyone, so we also served mini corn dogs, and Kettle Brand Chips provided mini bags of chips for our guests. So in between servings of ice cream and cupcakes, everyone enjoyed the corn dogs and the fun flavors of chips. We had water for the kids and served beer and wine for the adults! 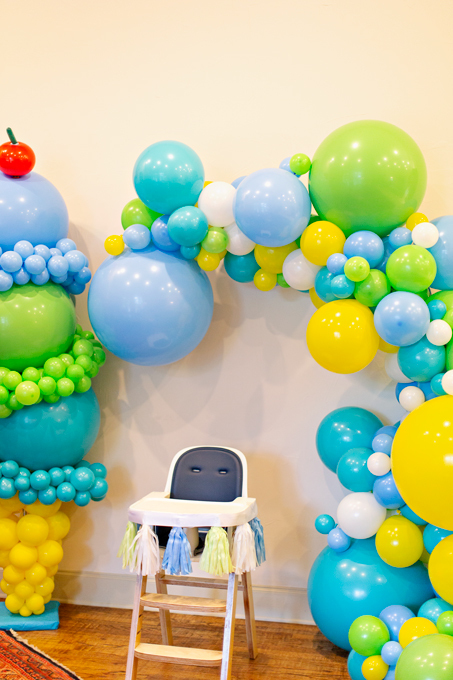 To start things off on the right note, Float Balloon Bar created a giant ballon ice cream cone and balloon waterfall. It was amazing and so much fun! 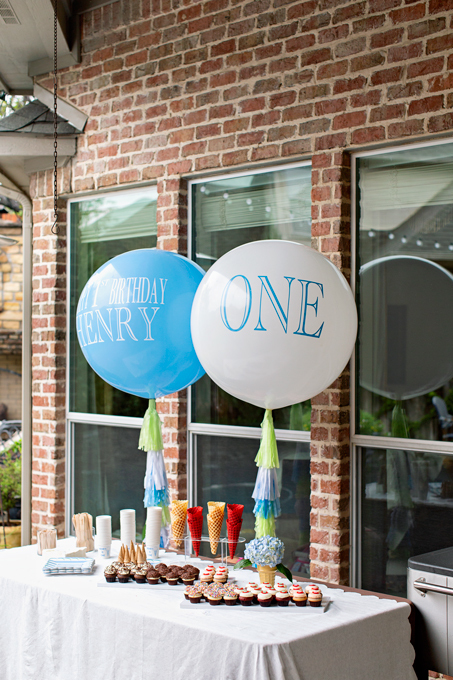 They also brought two giant balloons with tassels that said “Happy 1st Birthday Henry!” and “ONE”. 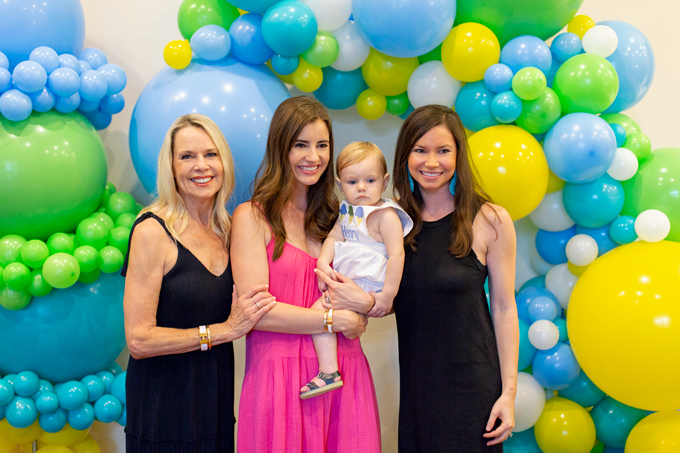 The balloons made it all so fun and festive and Float Balloon Bar delivered and set up everything for us. 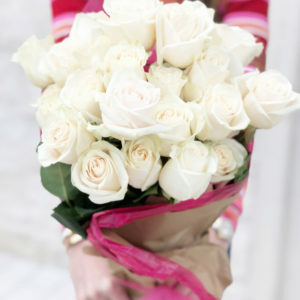 It couldn’t have been better! 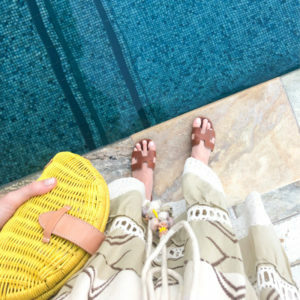 As usual, when I pick a theme, I just go with it! 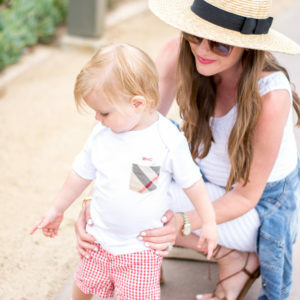 A to Z Monogramming does all the boys custom monogramming and she can do just about anything! I sent her the Love Lucy invitation and she created the sweetest little ice cream monogram for the boys! 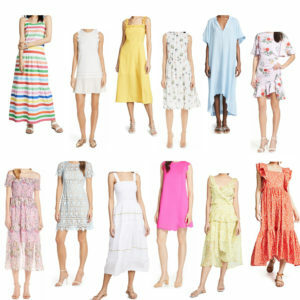 The three of us girls opted for dresses – even though it was raining! We didn’t come up with a plan B for ourselves ;).